Grab a chair and listen to the sounds of wonderful music while biting into savory delights! Crawfish! Shrimp! Cheese Steaks! We have something for everyone! Plenty to for the children to do. 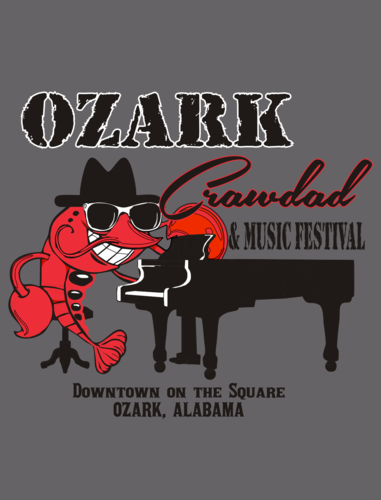 Come and celebrate the 13th Annual Ozark Crawdad & Music Festival in beautiful downtown Ozark, AL! Coming SOUTH on 231, turn left at McDonalds in Ozark onto HWY 27/105 and Andrews Ave. Take Andrews straight downtown to the square (where the courthouse is). Ozark is located in the The Wiregrass Region of South Alabama. Be sure to check out places to Go, Eat, Stay, and other events in Ozark.